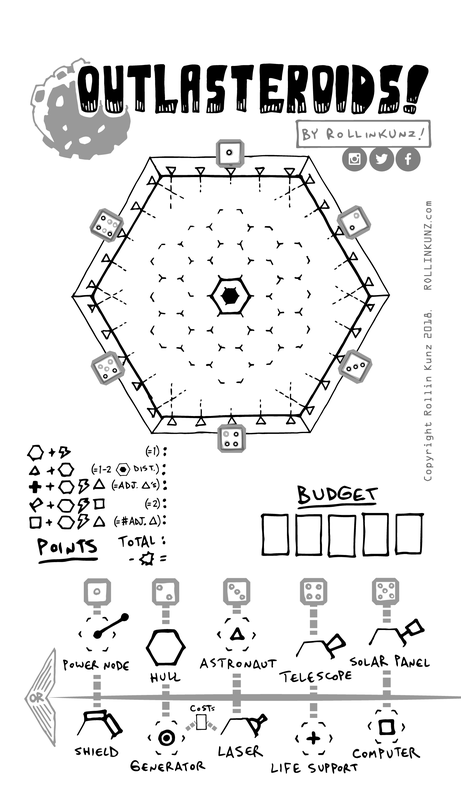 OUTLASTEROIDS is a quick print-and-play space-station-building roll-and-write game by me, ROLLINKUNZ! 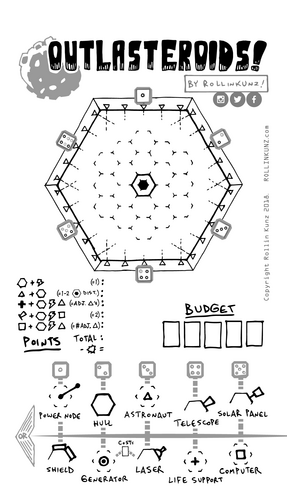 You and your fellow players are space station commanders, hoping to establish a foothold in an asteroid belt. An asteroid storm's a-brewin', so be sure to protect your precious charge as you build it, part by part, into the fanciest station around! Buy it here for $3, or sign up for my mailing list for a free copy!